The ADFC is Germany's bicycle advocacy group, and they've come up with a funny term: MAMIL, which stands for Middle-Aged Man in Lycra. What they're referring to are studies that show it's typically macho dudes in their 30s and 40s who feel most safe riding a bike, particularly in adverse conditions; the number of bike-riding females, elderly, and well-parented children are kept down due to safety concerns. "With MAMILs only, you cannot build a cycling nation," the ADFC states. "[There must be] younger and older people, fathers with children on their way to school, well-dressed women on their way to work, girlie girls in pink, ministers and doctors, teenagers on their way to sports training, musicians with double basses on their backs, elderly ladies on their way to the library [all riding bikes]." If you hit the "studies" link above, you'll find another study reporting that "in European cities with separated bicycle infrastructure, women account for 50% of riders." In other words, bike lanes bring equality. 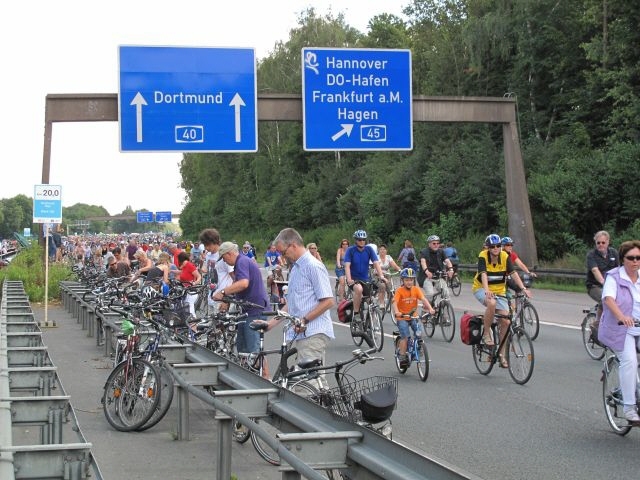 And now there's good news for the ADFC, as well as the residents in the Ruhr region of Germany: The country is launching a 100-kilometer (62-mile) fully-paved roadway dedicated entirely to bikes, no cars allowed. 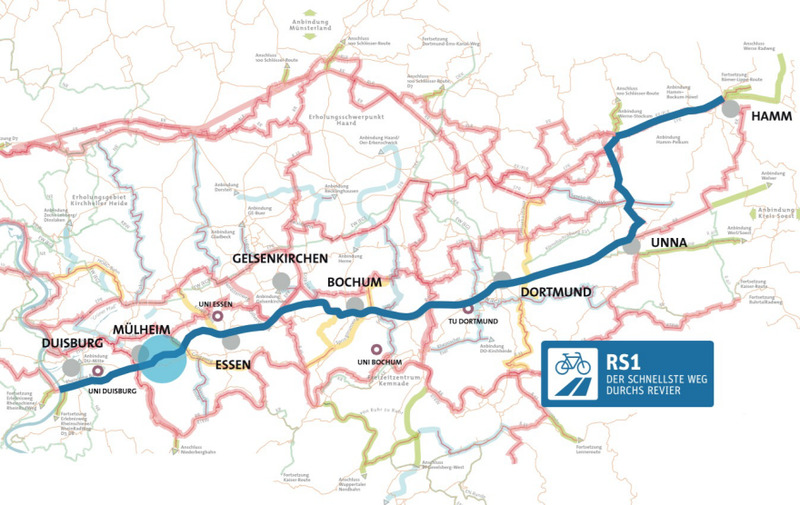 This "bicycle Autobahn," as Phys.org is calling it, will be located in the densest part of Germany. 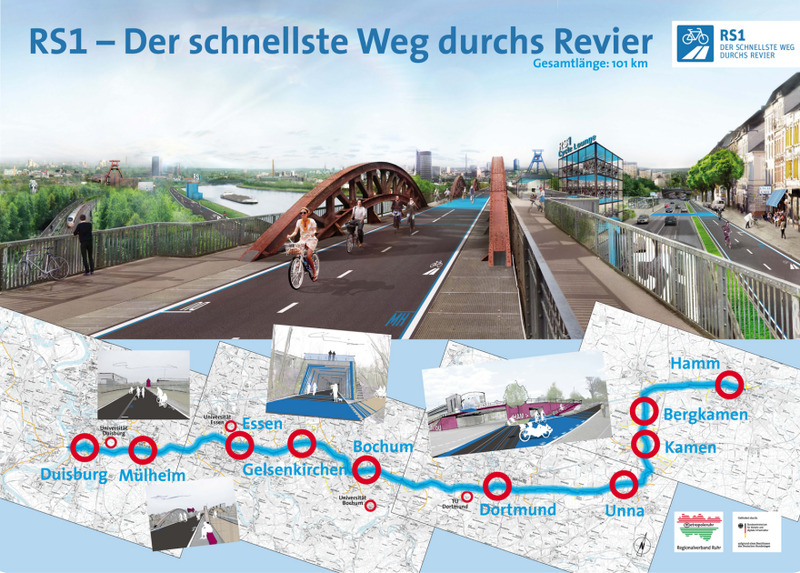 The Rhine-Ruhr metropolitan area has a population exceeding 12 million people spread over nearly a dozen cities, and thus this super bike lane will connect ten cities and four universities. For now the bikeway has been kicked off with a 5-kilometer stretch that's 4 meters (13 feet) wide, as the rest of the path is projected to be; in order to complete the remaining 95 kilometers, financing is required. At €180 million (USD $197 million) the bikeway isn't cheap, and the question of whom will pay for it must be negotiated. So far the RVR is off to a good start: While they paid for 20% of the initial run, they got the local state government to pay for 30% and the EU to pick up the rest. With any luck, the ADFC will soon get their wish of seeing MAMILs and non-MAMILs alike all pedaling to work.